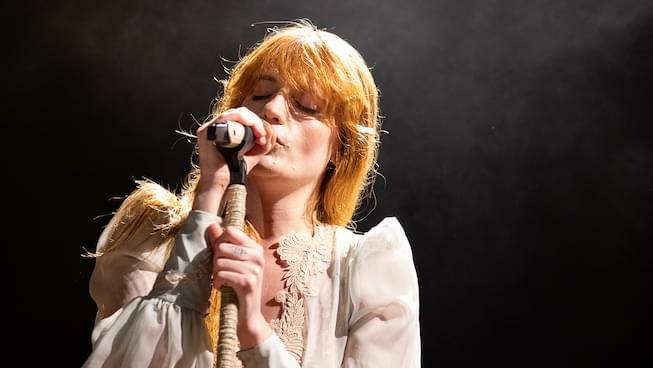 Florence + The Machine surprised fans on Saturday when they released a new song in the middle of their set in Perth, Australia. The band is currently on their ‘High As Hope’ Tour, and “Moderation” (as it was listed on the setlist) is their booming, vocals-showcasing latest release that builds into an all-out guitar jam. Florence Welch didn’t introduce the song at Perth’s RAC Arena. “I never made it with moderation/ No, I never understood/ My feeling was all or nothing/ I took everything I could,” sings Welch on the track. The band’s most recent album High As Hope was nominated for Best Album at the Brit Awards. They will continue touring Australia and New Zealand before heading to Europe and a couple of shows in New York in the summer. Check out the fan-shot footage of the debut of “Moderation” below.